NASHVILLE, Tenn. (April 27, 2016) – Big & Rich, who just scored back-to-back Top 10 Country singles with “Look at You” and “Run Away With You,” will bring their must-see show to audiences nationwide as they embark on a summer tour in support of their latest single, “Lovin’ Lately” featuring Tim McGraw (available here). “Lovin’ Lately” is racing up the charts after the country duo released their Top 10 Billboard Country album Gravity. Concert goers will get an up close and personal experience as the chart toppers bring their unique style and sound to their dedicated fans (see dates below). The next stop on the tour will bring the chart-toppers to Live Oak, Fla. for the Suwanee River Jam. Big & Rich will be rocking festivals, amphitheaters, casinos and more. One highlight throughout the tour is a special Memorial Day performance, as Love’s Travel Stops presents Camp NASH sponsored by Nationwide Express. Other artists performing at the event include Thompson Square, Parmalee, Chuck Wicks, RaeLynn and Breaking Southwest for the event benefiting The Special Forces Charitable Trust. Big & Rich is comprised of Big Kenny and NBC’s “The Celebrity Apprentice” winner John Rich. The multi-platinum hit duo have garnered multiple Grammy, ACM, CMA and CMT Music Award nominations. The first single, “Look At You,” from their latest studio album, Gravity, smashed into the top 10 on the Country chart. 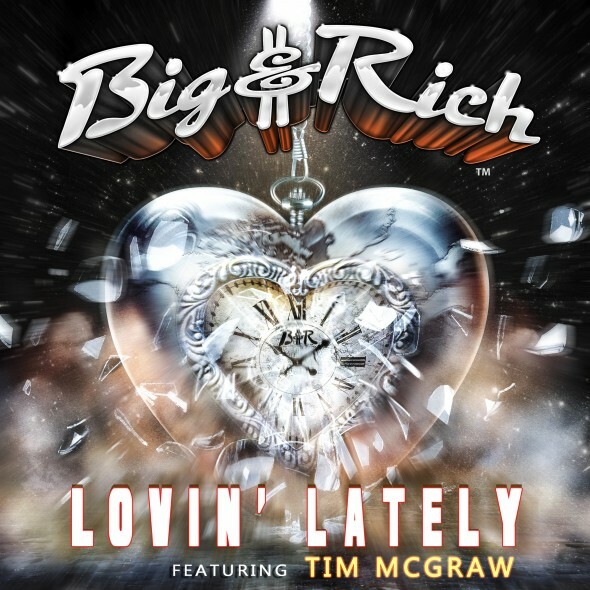 The follow-up single, “Run Away With You,” kept the momentum rolling, also hitting the top 10, while the latest single, “Lovin’ Lately” featuring Tim McGraw continues to surge up the charts. The Country superstars’ first studio album, Horse of a Different Color, includes their hit infectious single, “Save a Horse (Ride a Cowboy).” Other hits include “Comin’ to Your City,” “8th of November” and their No. 1 hit, “Lost in this Moment.” Meanwhile, “Comin’ to Your City” is nearing a decade as the theme song for ESPN’s “College GameDay.